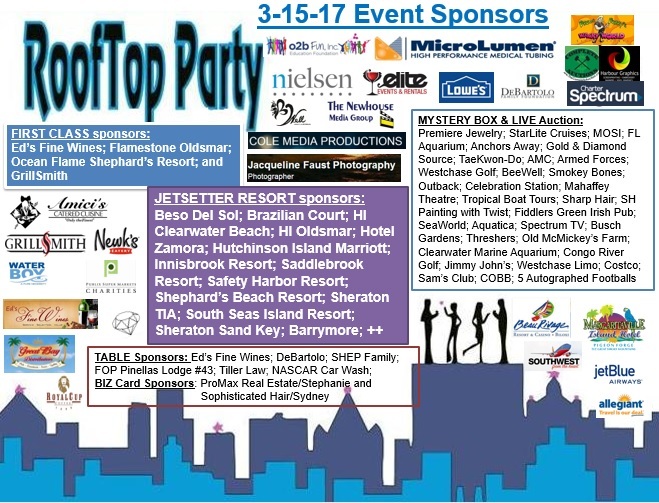 Well in a few short hours it will be March 1 and not only is it time for Leprechauns and pots of gold, for this Irish girl but also 14 days until time to Party Down as the Sun Goes Down on our Adult Only Rooftop Party. Here is an update on all our sponsors and yes tickets are still available but going super fast … be watching for our TV commercial starting soon! 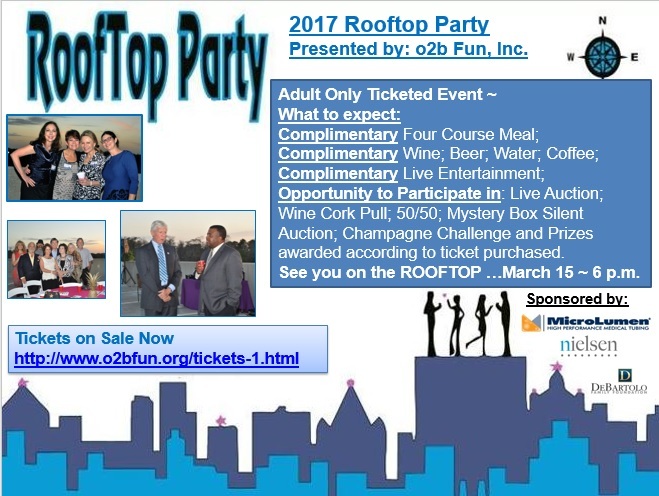 See you Wednesday, March 15 on the Rooftop under a Full Moon and enjoy this Adult Only event where 100% of the proceeds go to providing Educational Scholarships to Tampa Bay Area Students. Scholarships go to 8th graders headed into High School; School Special Needs Programs and College Bound Students. Full Details on our scholarships are found under Student Tab here!